The UK-based Bowers & Wilkins company has manufactured audio equipments since 1966 but it is not a really well-known brand till now. 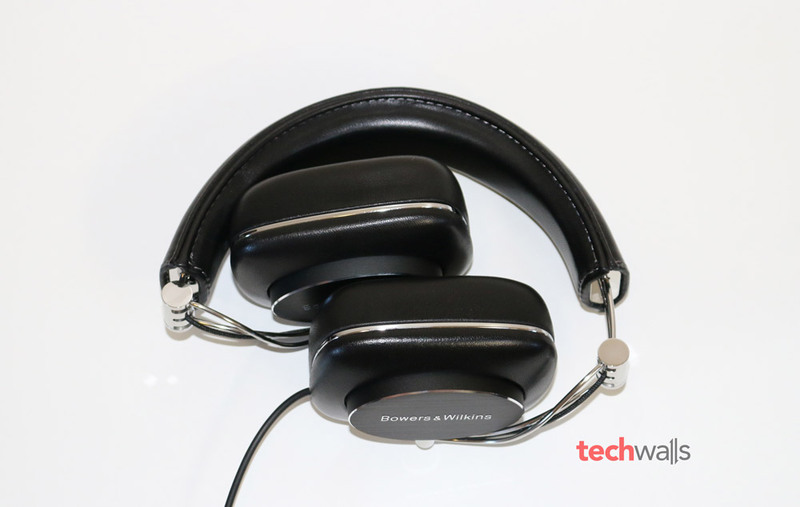 To catch up with the growth of mobile users, B&W started releasing a couple of headphones in the last few years and their products start receiving some positive feedbacks from audiophiles. 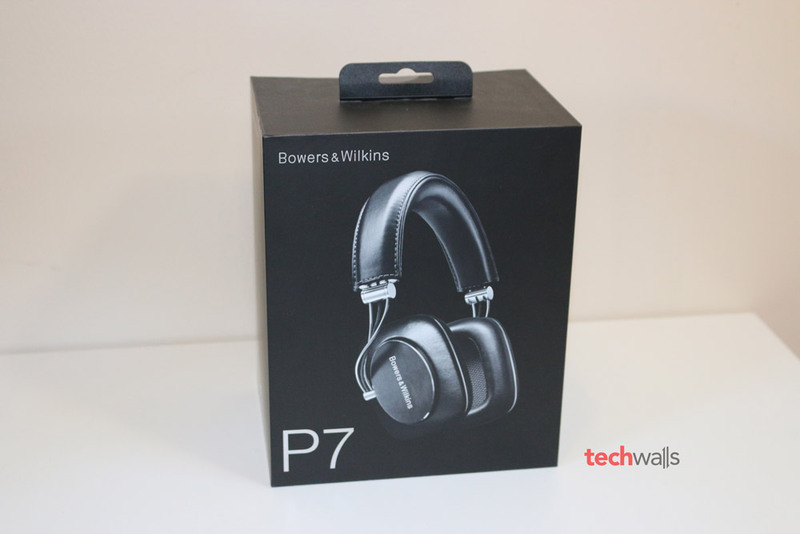 In this post, I’m going to review the Bowers & Wilkins P7 Mobile Hi-Fi Headphones. 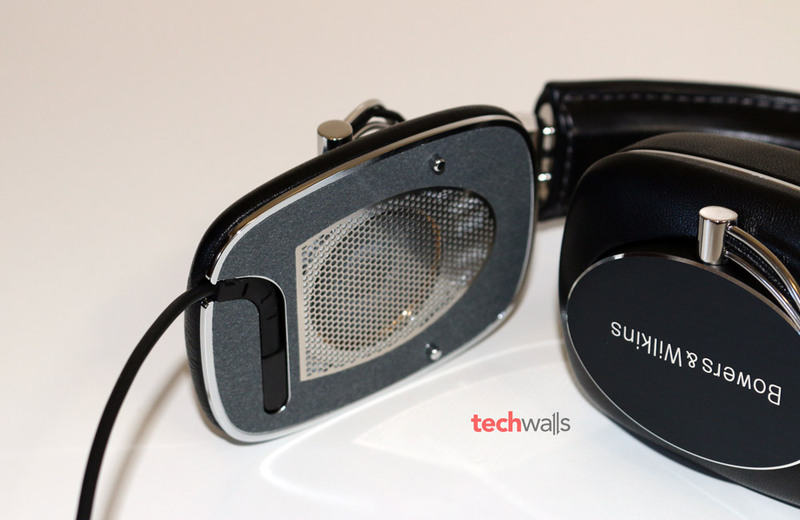 This pair is considered as one of the best high-end headphones of the year. Let’s check it out. 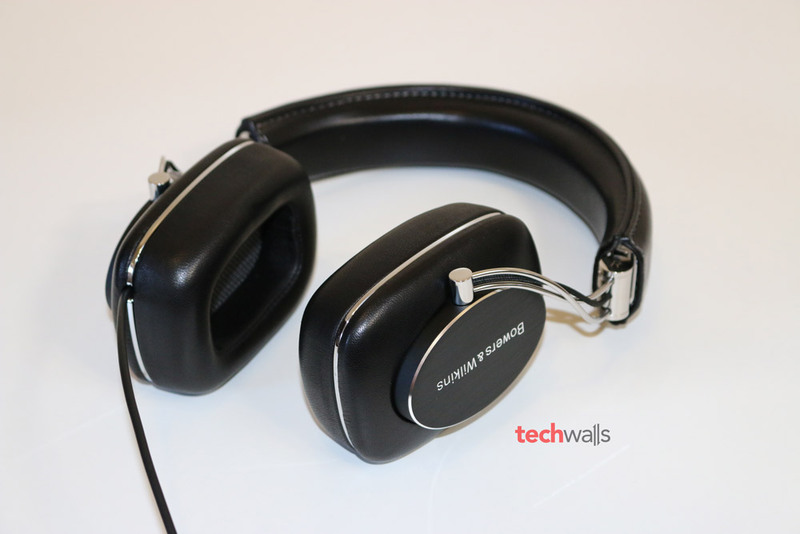 Undoubtedly the Bowers & Wilkins P7 has the most luxurious design that you can find on a pair of headphones. It is the most attractive pair, at least in my collection. The box has nothing special but everything inside looks just amazing. Apart from the headphones, there are an iPhone cable with in-line controls, a generic cable, a 1/4-inch adapter and a leather carrying case. After being fold up, the P7 can fit perfectly inside the leather case. 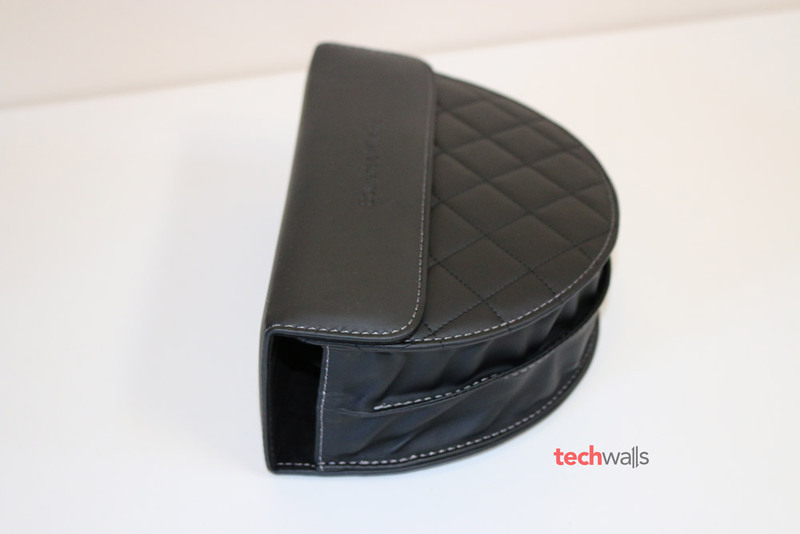 The case is made of premium leather with hand-stitched exterior, I never imagine a technology company could produce such a beautiful accessory. 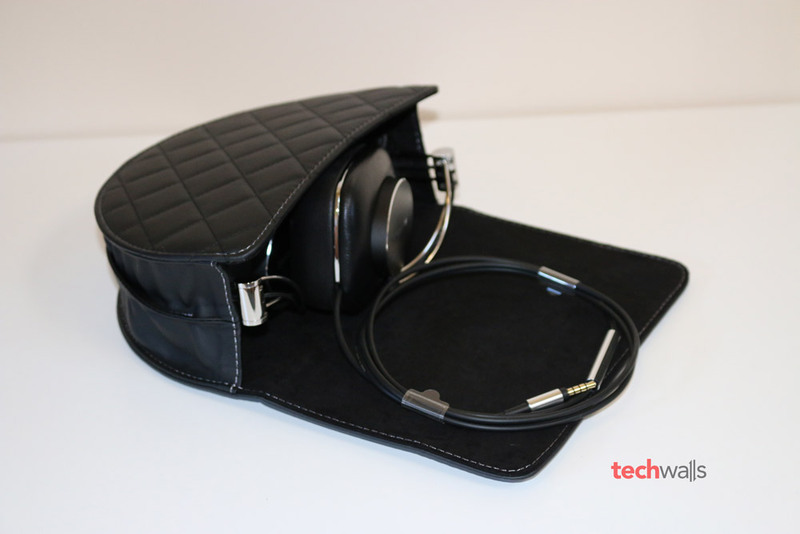 The headphones are quite big, so you might find the case a little bulky and don’t want to bring it around daily. The headphones have an awesome build quality. By just looking at it, you can see that the whole exterior uses just leather and aluminum. The two earcups and headband are covered with leather, and it is not the cheap fake leather you find on most headphones out there. This is the genuine sheepskin leather, so you can easily see the difference, it feels like the premium leather found on luxury cars. 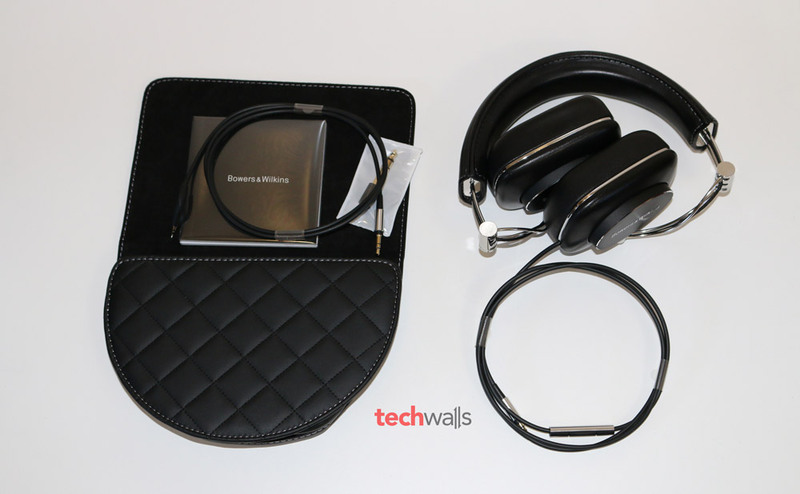 Bowers & Wilkins also makes it easier to fix the headphones in case it is damaged. The two earcups can easily be replaced as they are hold with magnets and the cable is also detachable. Therefore, you can save a lot of money buying new headphones or sending it for repairs. Everything seems perfect with this design, the only problem I have is that it is quite tight against my head. This helps provide awesome noise isolation but also makes it uncomfortable wearing the headphones in a long period of time. My ears are always hot and sweaty after each use. The B&W P7 uses two 40mm drivers and it can deliver good sound for most genres of music. In my test, I connected the headphones to FiiO X5 most of the time, then I also tried with my iPhone 6 Plus and MacBook Pro to play some MP3 files. In general, the P7 deliver a very warm sound which focuses on mid-range and bass responses. I’m impressed with the amount of details coming from these headphones, the vocal presence is amazing and the low frequencies are quite satisfying for bass lovers. You can easily feel the tight bass responses and they won’t distort even when I crank up the volume. Many users will love the headphones but the boomy bass is a little too much for my taste. Another disadvantage is that the closed-back design restricts the soundstage and high frequencies. Therefore, you won’t be able to experience a crisp and clear high notes on these headphones. However, it doesn’t mean that the sound is too muffled. This is still a rich and full sound, and I love using it to listen to acoustics and classical music. I made a comparison between these headphones and the AKG K545 and Beyerdynamic T90. Wearing the headphones is not as comfortable as the other two, but it produces the best sound at low frequencies. Besides, noises from the outside are blocked significantly and it will help improve your listening experience in loud environments without using noise-cancelling headphones. Great build quality with premium materials. Delivers a full and rich sound. Bass is excessive for my taste. Soundstage and treble sound are restricted. The Bowers & Wilkins P7 is on sale on Amazon for $399. This is a great choice for bass lovers but you should try it before buying because it might be uncomfortable for most head sizes. The usual error crops in here too about the carry case. It is not made of leather, premium or not, but padded PU. It is also not hand stitched, nor does it have any smell, unlike the phones themselves. Just to emphasise, you will find no reference to a “leather” case on the B&W website too.